Hidden inside a copy of Ernest Hemingway’s ‘A Farewell to Arms’ I find the recipe for a mouth-watering cocktail. I am standing at the bar of ‘The Blind Pig’ in Pacino’s cellar venue on Suffolk street in Dublin city centre. I am speaking to the night manager, Daniel. He hands me a copy of the Bible. ‘You can find cocktail recipes in here too,’ he tells me. ‘Our drinks menu is hidden in books which is how it was done during Prohibition too. We are proud of our little Speakeasy bar down here,’ he says with a smile. I glance around me at the inviting decor: vintage style furniture in an original arched wine cellar. This is my second time back to the lovely Pacino’s Restaurant and Bar in a week. Unlike the cocktail recipes, it is hardly in a hidden location, a minute’s walk from Trinity College, so how had I not noticed it before? I can only say that I have likely been too busy getting settled as many returning emigrants would be too, in their first year back in Ireland after many years abroad. It is only recently that the anxiety of moving home and finding a job and a place to live has subsided and I am happy and ready to really start exploring the city more. It makes me excited about discovering other gems of Dublin as I slowly begin to call this city my home. And truly, Dublin is becoming my home now and in the past month or so I have finally started going out more and meeting people and having a good time. Some of my new acquaintances here invited me to Pacino’s last Saturday night to a floating event called ‘Audio Filth’ that took place in the same cellar bar. At weekends, The Blind Pig turns into a dancefloor after 11pm. 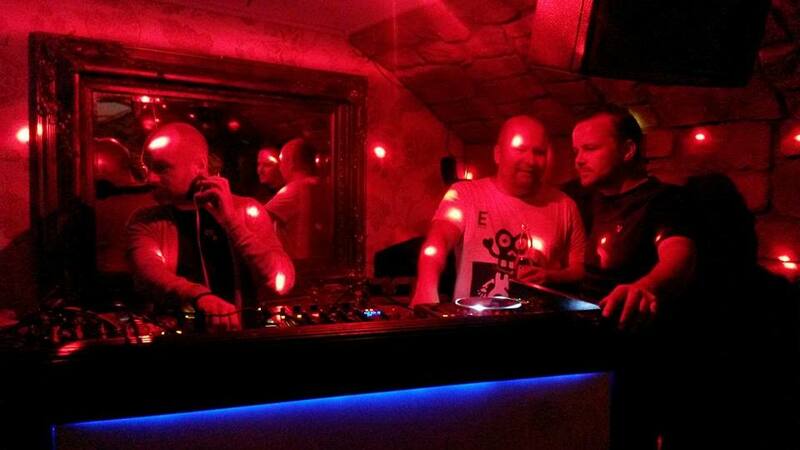 Graham Keely from Dublin who is the co-founder of Dublin’s first dance music radio station PowerFM, started Audio Filth last February with his friend Hugo McCann. They invite artists over from the U.K. who are making waves in the house/acid scene. 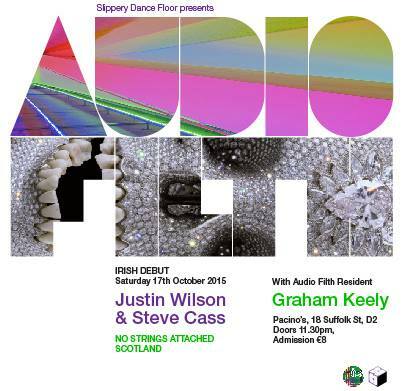 Their guests last weekend were Justin Wilson and Steve Cass who have run a club in Edinburgh for the past 20 years. They call themselves NSA– No Strings Attached- and we had a great night dancing to their eclectic mix of house, disco and as they call it ‘Chug’. I had never heard this word used in a musical context before. ‘I would call it spaced out disco.’ Steve said, describing their set. There were only about 20 of us in the intimate private party in the cellar and we had a laugh dancing to Daft Punk, DJ Koze, Beato Cozzi, Duncan Gray and more. One thing that made the night especially interesting to me is that I found myself surrounded by my peers- people in their late thirties in early forties. I even met two women my age who I had been introduced to a few weeks before at The Sugar Club. I love this about Dublin; It’s not too big and not too small. I have a feeling it will be easy enough to continue making new friends here. I was also introduced to Eoghan Farrell who has been djing on the underground scene in Dublin for the last decade and who is a resident dj at Pacino’s. 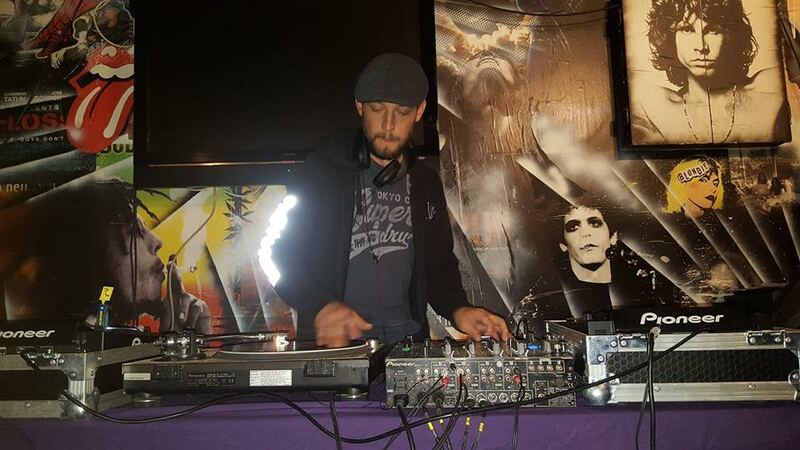 He runs a bi-monthly event there called Press Play and hosts various djs. And all the while our party was running in the basement there was a dub and reggae party- ‘Rub a Dub’ with Cian Finn upstairs on the main Pacino’s floor. It was Eoghan’s friend Marcus Lester who approached the owner of Pacino’s two years ago and proposed hosting late night music events at weekends. 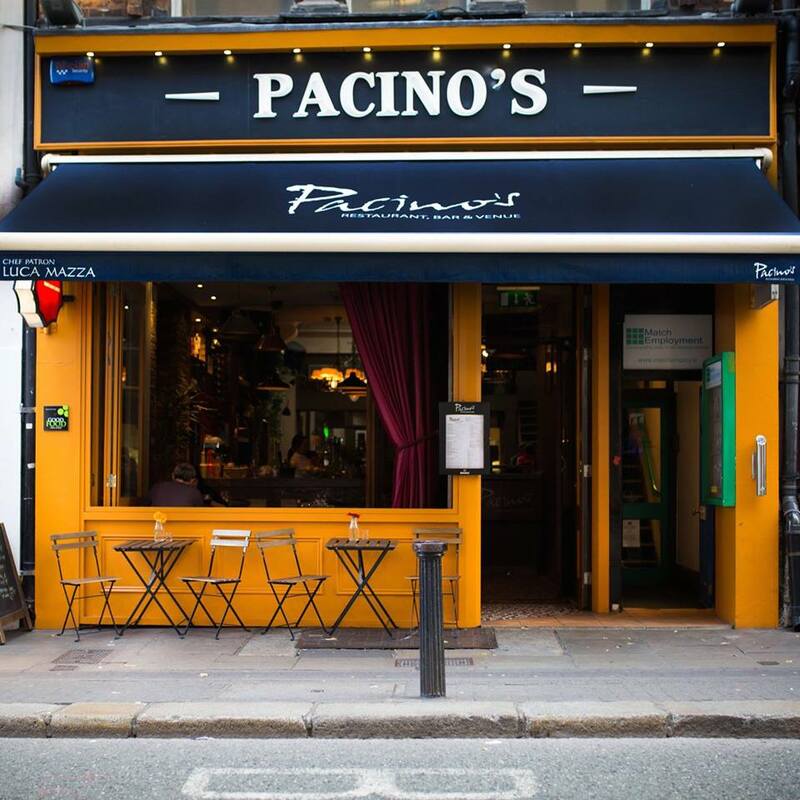 Lester, who is the curator of Pacino’s at Night said: ‘Pacino’s is more a vibe than a venue. We aim to put on quality music nights and find the best djs and promoters.’ It certainly seems like they are having a lot of success with it. Not only do they host events both up and downstairs, but they also host lane way parties outside Pacino’s on summer nights. And while the wonderful djs and promoters are responsible for quality music at Pacino’s, it is their award-winning Italian chef Luca Mazza from Tuscany who is responsible for quality food upstairs in the main restaurant (The Blind Pig has its own separate menu). Luca Mazza was hailed as the best Italian chef in Ireland in 2012. In a recent article in the Independent- The King of Italian Cuisine, Mazza says that the most important ingredient in his dishes is love. I have yet to try Mazza’s delicacies, but I have a feeling Pacino’s and The Blind Pig will be places I will be returning to often in the future.